A friend of mine went hunting up near Upper Sand Creek Lake last weekend. I told him I would meet him up there in case he needed any help. I asked around for people to join me and to my surprise Lisa agreed. This lake can be reached by hiking in from the Music Pass trailhead on the east side of the Sangre de Cristo Range. From Colorado Highway 69, south of Westcliffe, head south and follow the signs leaving the highway to Music Pass. At one point you’ll get into a moderate 4WD road where you will need a higher-than-a-typical-car-clearance vehicle. At the end of the road is the Music Pass Trailhead with a parking area for about 15 vehicles. 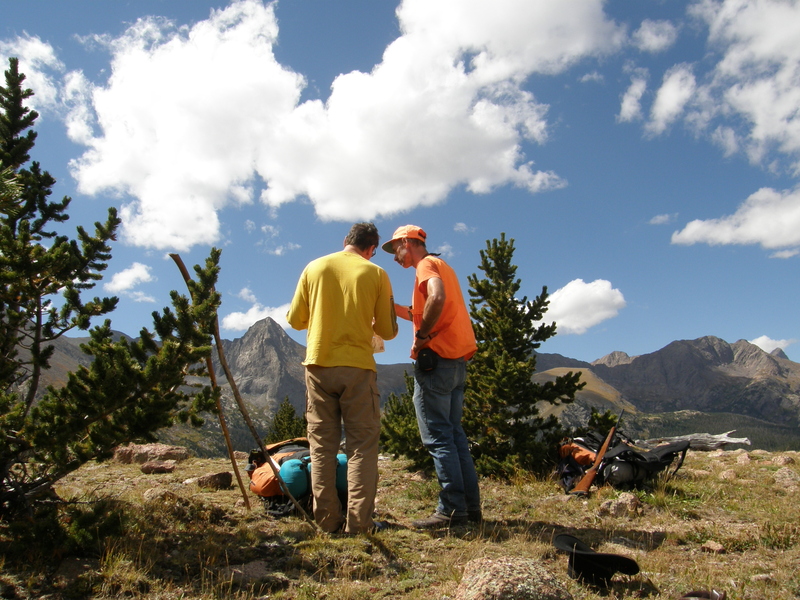 The Music Pass trail is one of the less strenuous trails in the Sangre de Cristo range, in my opinion. Unlike most drainages where I hike uphill for 3-1/2 to 5-1/2 miles, the Music Pass trail involves hiking uphill for a mile to the pass, then downhill for another mile to Sand Creek, then a hike uphill to the lower lake, upper lake, Cottonwood Pass, or downhill towards the Sand Dunes. I think because of this it is a popular place for backpacking and hiking by people of all ages. There were many groups camped around this area, but not so many that it felt crowded. When we arrived at the trailhead on Friday night, it was cold. In the 40s, I believe. The night sky was clear above us, while we could see the clouds below us in the Wet Mountain Valley. We slept in the back of the Avalanche on some large inflatable sleeping pads we brought along just for use inside the truck, and also used the sleeping bags we planned to use during our trip. It was quite cozy. We awoke on Saturday morning to brilliant sunshine with nearly cloudless skies. Using the tailgate as our table we used one of my “new” stoves (a 1964 Coleman 502) to heat water for tea and make some oatmeal with Craisins and nuts. The parking lot above and the open space lower where we parked included about 15 trucks, SUVs and a truck with slide-in camper, which were owned by day-hikers, backpackers and hunters. 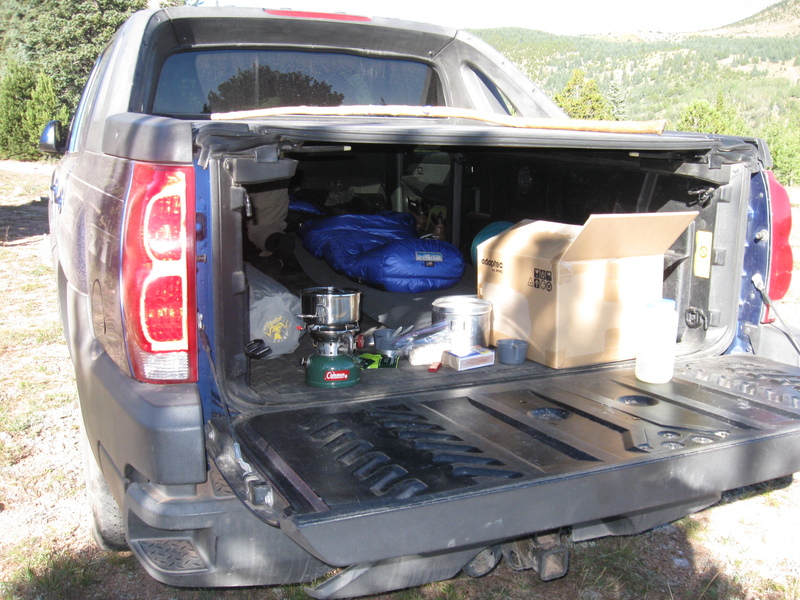 After breakfast, we closed up the truck, put on our packs and headed up the trail. We encountered about 15 people on the trail, with 6 hiking out and the rest hiking in. I was surprised to see this many people backpacking in mid-September. The group of 6 men packing out stopped as we passed and we talked with them for a few minutes. They mentioned a guy hunting and it turns out to be the guy we were planning to meet by the upper lake. We reached Music Pass after an hour so and stopped to relax and take in the views which included a nice 360 degree view looking at the Wet Mountain Valley to the east, the Sand Creek drainage to the west and the three notable peaks to the west, specifically, Tijeras Peak, Music Mountain and Milwaukee Peak. I think we were also able to see the tip of Broken Hand Peak as well. 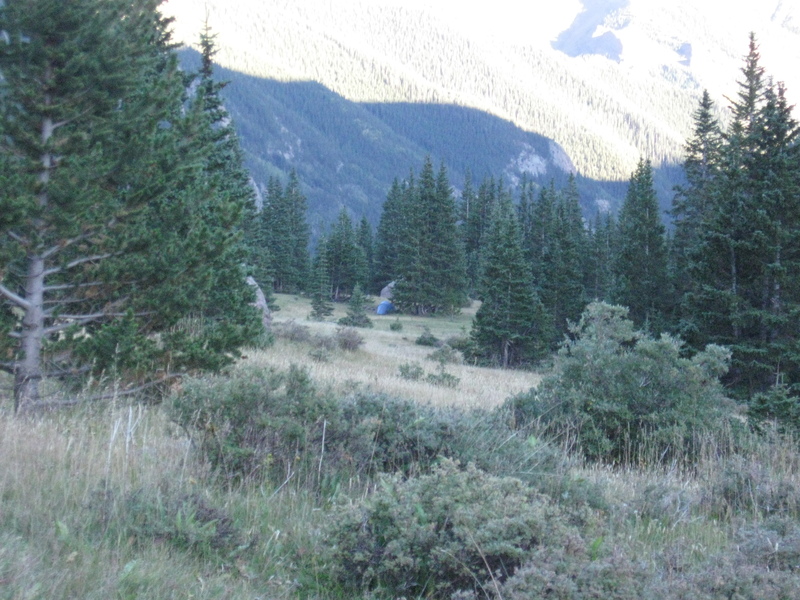 We headed down the trail and, once at the bottom, hiked a little ways and decided to camp 50 yards or so, off the trail in a well-used camp spot where we saw horses and their owners camped on a trip earlier this summer. This spot is close to Sand Creek, and is easy to see why the site is frequently used. 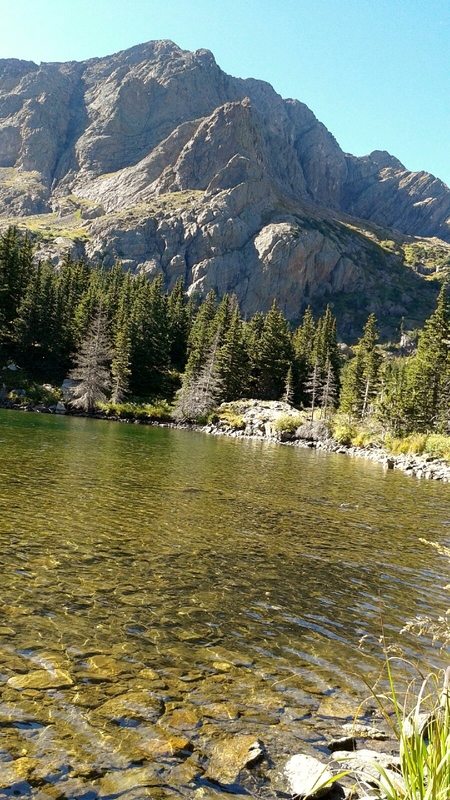 After camp was set, and after a light lunch of smoked Herring on crackers, we hiked up to Upper Sand Creek Lake. We looked around for Jeff’s tent, but couldn’t find it. We saw him far away, up high in one of the basins and waved to him. Not sure he could see us. We searched more and eventually found his tent and planned to leave him a note on the back of my kayak business cards, but realized I forgot the pen in the food box back at the truck. What to do? I decided that the burned wood embers in the fire ring would make a decent enough pencil, so I found a small pointed piece and scribbled out a note telling Jeff where we camped. We hung around until 5:30PM, but we heard no shots, and Jeff wasn’t moving, so we hiked back to camp. Back at camp we made some tortellini and tea and relaxed for the evening. It had rained previously and starting a fire proved difficult. I tried tree sap and dried grass, and even the tortellini box but nothing would stay burning, so I resorted to a little CF from the stove and we had fire. We kept the fire burning for a couple of hours and tired from the hiking, we headed to the tent to go to sleep. Sunday morning was another day with clear skies and warm sunshine. 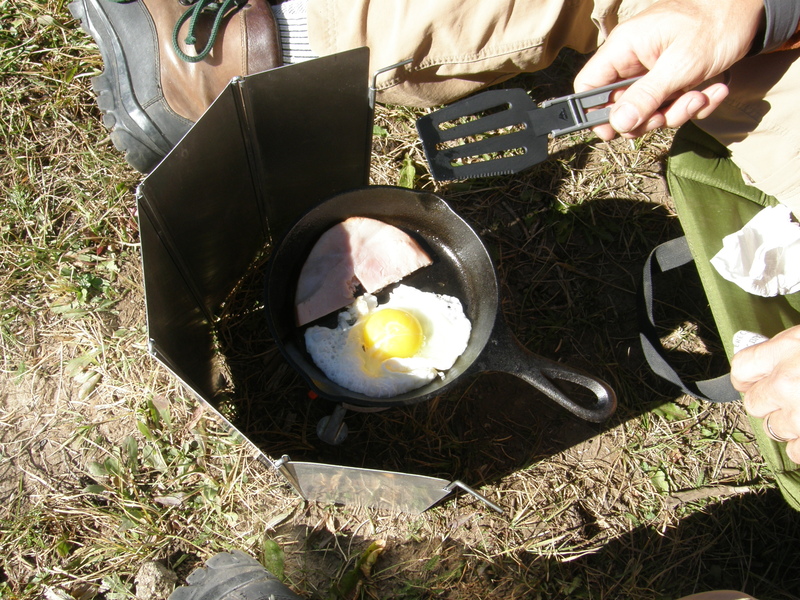 We lazily made our breakfast of fresh eggs and ham fried up in the small cast iron skillet. We put the eggs and ham on some English Muffins for a tasty warm breakfast. We relaxed for a while and then around 11AM began taking down camp. Just as we finished Jeff came hiking down the trail with his pack and rifle. We talked for a bit and then headed back up the pass. At the top of the pass we stopped for lunch and a few photos. Jeff went off to the north while we headed back down towards the truck. 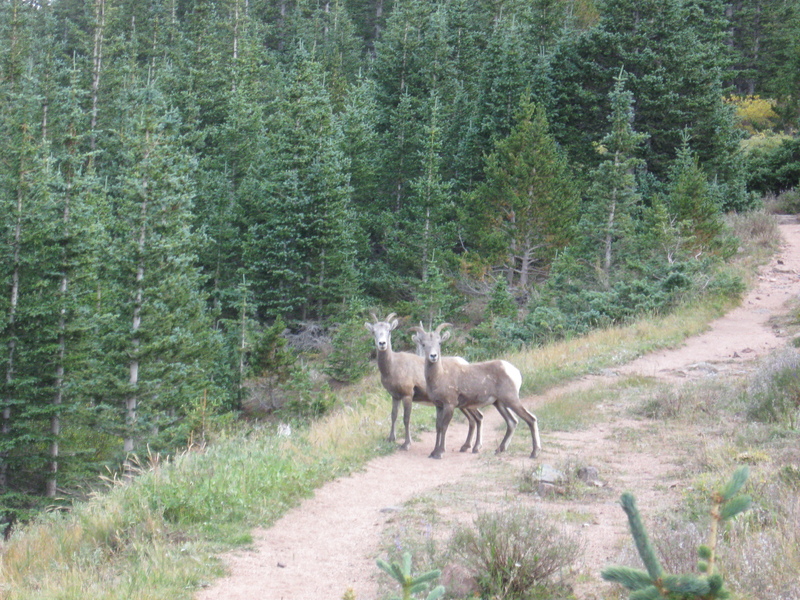 About 15 minutes later we rounded a bend in the trail and there stood eight Big Horn Sheep, standing and feeding 10 feet off of the trail. We watched them for a bit, creeping closer and closer to get better photos, until they darted off. We continued on for about an hour until we got back to the truck and then headed home. Lisa said she enjoyed the trip, not being particularly fond of backpacking, and I really enjoyed backpacking with her. A very nice September weekend. 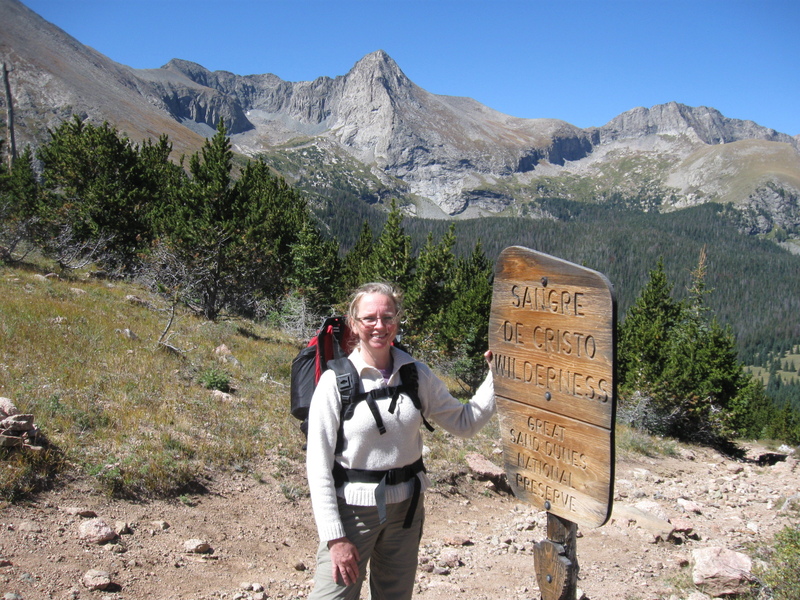 This entry was posted in Backpacking, Colorado Life and tagged Backpacking, Colroado, Music Pass, Sangre de Cristo, Upper Sand Creek Lake.